There are many eCommerce platforms available to online retailers, but Magento and Shopify have significantly dominated the market for years. Magento is the preference of many large and mid-size businesses and includes such names as Olympus, Nike, and Rosetta Stone. Since the introduction of Magento 2 in 2015, the platform’s market share has grown even further. Shopify also has its fair share of online stores, and these are primarily small and middle-sized. In a recent survey, Shopify was noted to hold 6% of the market share while Magento took 14%. But what exactly is the difference between these two platforms? And why should you choose one over the other? We will analyze both of these services in this guide and hopefully answer all the questions you have of both platforms. Many people opt for Shopify because of its many mobile-friendly themes and templates. Most users opting for Shopify will not need to learn any code, which makes building it relatively easy for anyone.  The platform has a comprehensive website builder with a 24/7 support team available through phone, live chat, online forums, and email. What Shopify boasts in ease-of-use, however, it lacks in customizability. The rigidity of the platform does not allow for unique specifically branded storefronts. Beyond that, Shopify only offers about 10 free website themes. All other themes and templates are a premium expense. If you want your website integrated with a third party, such as a CRM or marketing software, you’ll have to hope that Shopify offers an app for it. Otherwise, you may end up out of luck. The final disadvantage of Shopify is their transaction fees. Every time you make a sale, a part of your profits has to be given to the platform. You can reduce the transaction fees by purchasing a more inclusive plan. To eliminate the transaction fees entirely, you will have to shift to Shopify Payments. This is the payment processor that is owned by Shopify. Overall, Shopify can be an excellent platform for people who are just starting out in eCommerce. If you really are looking to scale your business or truly represent your brand online, however, it may not be the best platform for you. • It is easy to use. You will not need any coding skills to use this platform. • Your site can be set up in a few minutes. • There is a 24/7 support team. You can also use the Shopify forum to find solutions to your problems. • You cannot customize your site beyond a certain level. • You will have to pay for most of the themes on the platform. • You will be charged for every transaction you make. You will only be able to avoid this fee if you use the Shopify Payments option. Magento managed to gain such a large market share because of its flexibility and expandability. If you can dream of functionality, it’s most likely possible through Magento. Some of the built-in features include Mobile Optimized Shopping, Global Selling, B2B Functionality, Business Intelligence Dashboards, Site Search, Instant Purchase, and Visual Merchandising. A few of the features are open source while others are available for purchase or free through third-party extensions. 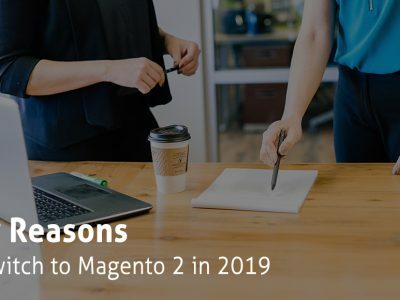 Magento 2 was released recently to address some of the shortcomings of Magento 1. One of these problems was the store performance. The new version supports PHP 7, and it has better browser caching for static content. Magento 2 also offers faster loading speeds, and this is all thanks to the full page caching provided on the Community and Enterprise editions of the platform. Magento is known to be the best eCommerce platform for developers but is used daily by store owners and admins. Many users found Magento 1’s backend dashboard to be clunky and hard to use. In the new version, the dashboard has been made to be user-friendly and intuitive. Besides these improvements, you will also enjoy the fact that Magento is an open source platform. This means you will only have to pay for the hosting. There is also a large community of Magento users, and many of the members are willing to help you navigate the platform. Like all other eCommerce platforms, Magento does have its own set of drawbacks. One of the issues store owners face is the fact that in terms of development, it can be pretty extensive. Unlike Shopify, this one requires you to have some advanced coding knowledge. Even seasoned coders will need some time to familiarize themselves with the platform’s interface. Generally, it will not suit non-coders and people who want to get their products on the market quickly. If you are not conversant with developer language, you may want to consider hiring an experienced team of Magento developers to build the website for you. • It gives you a higher level of flexibility as you will be able to make many different website designs. • There is a large community of Magento users, and you can use it to learn how to use the platform. • Magento 2 has been improved and is now more secure, intuitive, and user-friendly. • You will need some coding skills to use this platform or will likely need to hire a team of developers to build your website on the eCommerce platform. • You cannot get your website up and running in an instant, and there is a learning curve to understanding the platform. Both Magento and Shopify are popular eCommerce platforms with both have very unique pros and cons. 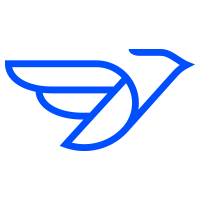 Newbird has extensive experience with both platforms and can help you decide which direction to go in. Reach out to us today so we can review your needs with you and point you in the right direction. 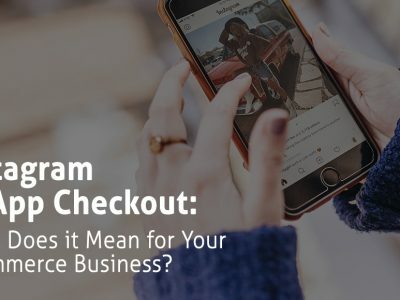 Next Post (n) Instagram In-App Checkout: What Does it Mean for Your eCommerce Business?